My dogs have two moods: manic and sleepy. We live in a ranch with a long hallway that stretches from one end of the house to the other, and in their most manic moments my dogs like to sprint back and forth, breathlessly racing each other to an invisible finish line. They spend the rest of their days sprawled out on our wooden floors in a way that honestly makes them look pretty dead. But there’s a big difference between dogs who enjoy snoozing in a patch of sunlight after a long day of sprints and ones who are consistently lethargic. Not sure which camp your dog lies in? Let’s take a look. Signs of lethargy in dogs include napping way more than usual and a diminished interest in eating or drinking. Lethargic dogs can also have delayed responses to external stimuli, like someone calling their name or tossing them a tennis ball. In other words, dogs get dazed and confused, too. Your dog might be lethargic after a particularly long day and can perk back up in as little as 24 hours, but if you notice signs of lethargy for days at a time, you might want to consider other causes. Like in humans, lethargy in dogs can be caused by both physical and mental issues like diarrhea, dehydration, and infection, as well as anxiety and depression. When coupled with any of these ailments, lethargy is a sign that it’s time to see the vet. There are at-home ways to improve your dog’s energy levels, too. An improperly balanced or highly processed diet can lead to the same sluggish feelings of lethargy you experience after eating pasta for three days straight. Consider adding fresh foods like vegetables (or sardines if you’re feeling creative) to your dog’s bowl for a boost of nutrients and energy. Research shows that fresh food can help build strong immunity and increase vitality in dogs, so you can also switch your pup to a regular diet of real, unprocessed food to kick that 3pm slump for good. 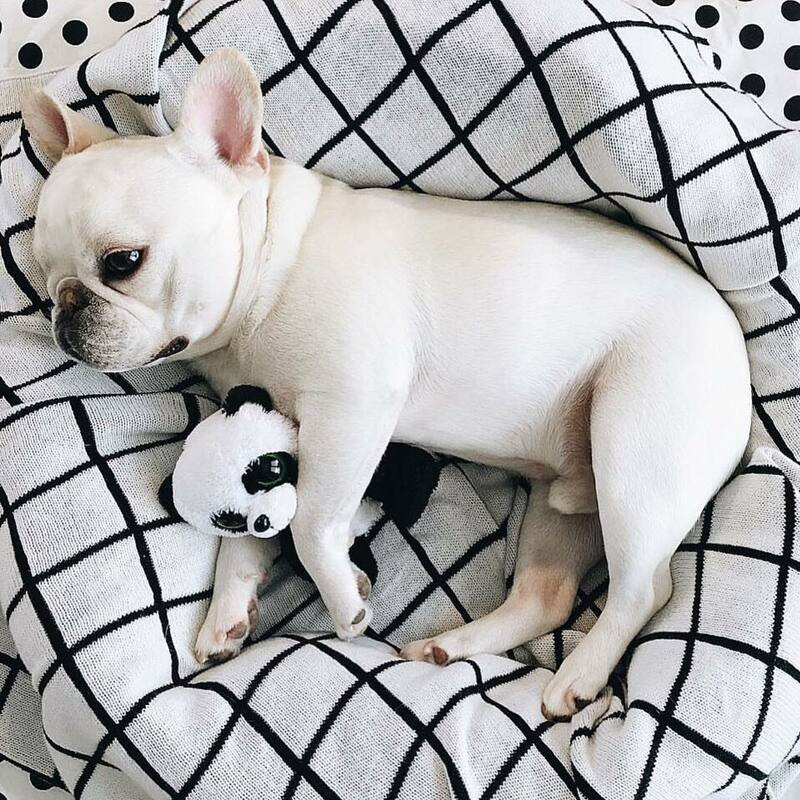 A Saturday in bed is necessary every once in a while, but we all know fitness is in and the same goes for your dog. Adding extra exercise to your dog’s routine can help balance energy levels and give you both a little more pep in your step. What you do with that energy (like, say, sprinting down hallways until you pass out) is up to you.